A nakōdo (仲人 matchmaker) serves the role of a go-between for families in the miai process. A nakōdo is not necessary for all miai. The nakōdo can be a family member, friend, or matchmaking company. Professional organizations have begun to provide go-between services for inquiring candidates. These professional nakōdo are known as puro (pro) nakōdo. The nakōdo is expected to play a variety of roles throughout the miai process. 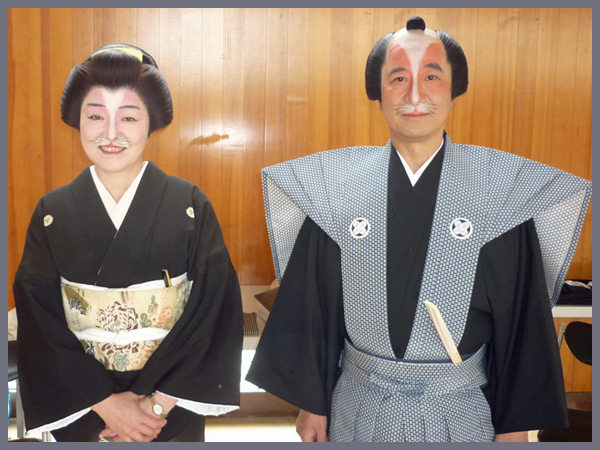 The first is the bridging role, hashikake (橋架け), in which the nakōdo introduces potential candidates and families to each other. The second role is as a liaison for the families to avoid direct confrontation and differences in opinions between them by serving as an intermediary for working out the details of the marriage. Named after the famous matchmacer-doctor Yamato Keian 大和慶庵 (around 1653). A Nakodo go-between was necessary for a regular marriage in Edo. Some doctors with a bad medical reputation could fall back on this kind of "business". Once the marriage was fixed, he would get quite a bit of "thank-you money". In the Yokai world, animals like fox, tanuki, serpent or Kappa are also Nakodo. In the family of a matchmaker the wife had died and for about one month every day from the Tokonoma alcove the sound of a large bird flying off was to be heared. When the husband looked, there was nobody. The bride of the house had already been on her way when the Nakodo came to pick her up. In fact it was a fox who had shapeshifted as the bride and walked at the top of the group. Once a Nakodo went to pick up the bride at her home. But out of the bushes there came a badger, with leaves on his head like the headgear of a bride. The Nakodo pretended not to suspect fraud, went close to the "bride" and hit the "Tanuki bride" with his long umbrella, until the Tanuki was dead. Then the Nakodo carried the Tanuki to his home and postponed the wedding. Mansuke is the most well-known fox in this region. At the time of the cultivation of the 桧沢岳 Hisawadake region there was a man named Sato who had lost his wife and was working all alone. One evening a Nakodo came and offered to find a new wife for him. The deal was fixed in a few days, the relatives invited for the wedding celebration. When all were drunk the bride, the Nakodo and the visitors suddenly showed her real form and all disappeared, including the feast in front of his eyes. The bride of Mansuke was お花 O-Hana from Mount 花館山. People walking the path between the two mountains often got tricked by the fox couple. 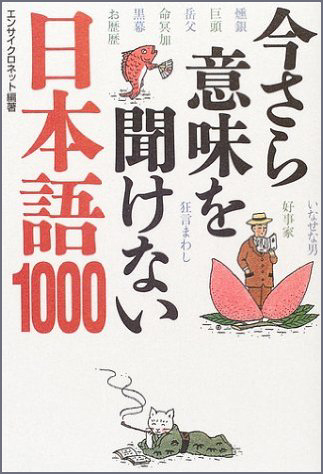 A legend of another fox called Manjuro tells of 宗作爺 Grandfather Sosaku. Once he went to some relatives to help putting new reeds on the roof. He got some rice cakes 月形餅や撒餅 for his help and was on his way home. When he passed the school the children came to him and asked to see the contents of his packet and wanted some to eat. He felt quite elated and wanted to share them with the children. When he tried to open the packes it suddenly disappeared and all the children were gone . . . Manjuro had played a trick on him! A samurai was asked to expell a fox from the village. "I was asked to be the Nakodo and bring the bride to the home of the groom. On the way she suddenly asked to take a bath and I don't know what to do. Can you do it in my place?" When he tried to help the fox and went to the bath he suddenly found himself sitting in a puddle of mud instead . . . The serpent wanted the princess of the pond 蒲生池 / 蒲生の池 Kamo-no-ike as his bride. But the Nakodo was refused. In his anger he killed all the members of the family. He borrowed the famous serpent-cutting sword 蛇切丸 and fought with the enemy. This is a famous sword 蛇切丸 with more legends in other regions of Japan.
. Welcome to the Kappapedia ! . Once a Kappa from the bridge 宮川橋 Miyagawakyo became a bride. The Nakodo was from 二の橋 Ninohashi. 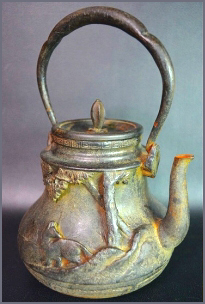 The "Kappa" in this tale is in fact a prostitute from a tea stall. Ninohashi was famous for the Aimaiya, Aimai-Ya 曖昧屋 , a kind of tea stall, eatery or lodging, keeping aimai women 曖昧女(おんな) prostitutes. Aimai chaya 曖昧茶屋, Aimai yado 曖昧宿. aimai 曖昧 is a normal word of the Japanese language, it means ambiguous, not clearly defined, obscure, vague . . . (you can google for more).
. chaya　茶屋　tea shop, tea stall business in Edo . explaining a lot of "aimai" words with ambiguous meanings.